A fantastic gift for him! 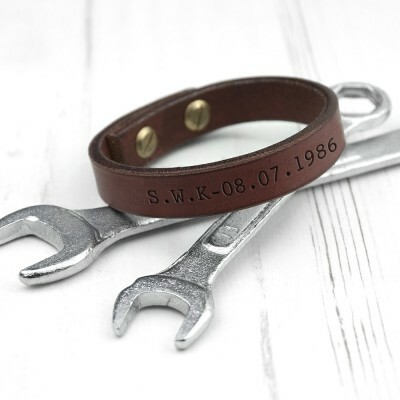 Made from thick brown leather this bracelet certainly makes a statement. Held in place with two sturdy brass coloured clips and personalised with a message of your choice up to 40 characters.